With the start of each year we focus on building new routines that create improvement in our lives. One routine that is greatly overlooked is shaving. Once viewed as a luxury, men would line up at the old barber shop, sit back, and let the skilled professional do their magic. That shave would begin with warming up the shave brush to apply that special shave cream along with a series of hot towels. Why is “that” shave perceived to be so much better? Perhaps it really does make a difference in what you use. Starting with a shave brush is highly recommended and never missed in the “barbershop shave”. 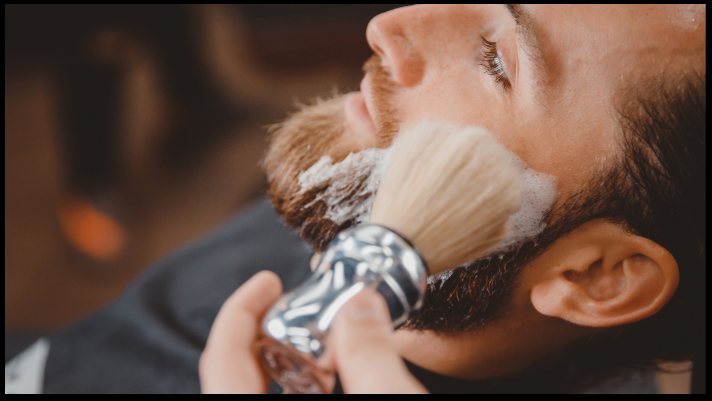 The process of brushing on a moisturizing shave cream will lift the whiskers and prepare them for your razor. The shave brush also loosens dead skin cells and keeps them from clogging your pores and causing ingrown hairs. There are many options for shave brushes and your face will know the difference. A quality badger hair brush will last for a long time and help give you the perfect shave. Stop in and browse our selection of pure badger hair brushes and allow our customer care representative to assist you in choosing one that is perfect for you. You can also experience that old fashioned barber shop shave at Modern Male! BOOK ONLINE NOW.